Where the whole of Bengaluru is enjoying the rains and the awesome weather, on the other hand the Whitefielders are scared of the April showers. 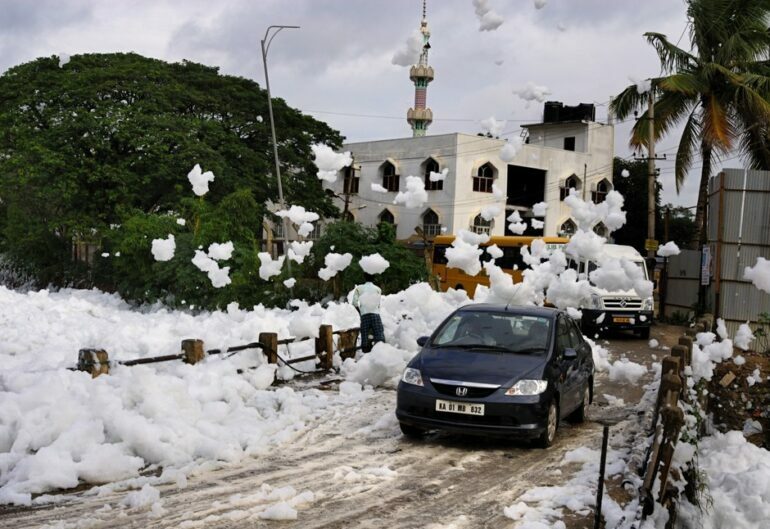 The reason being the Varthur Lake getting frothed. Froth has been recently witnessed in the Varthur Lake by the localoids like any year during the rains. The residents are scared of using the bridge over the lake, fearing of its chances of spilling again like it happened in the previous years. They are even scared of the skin infection and respiratory diseases being spreading cause of the highly contaminated froth like it happened earlier. 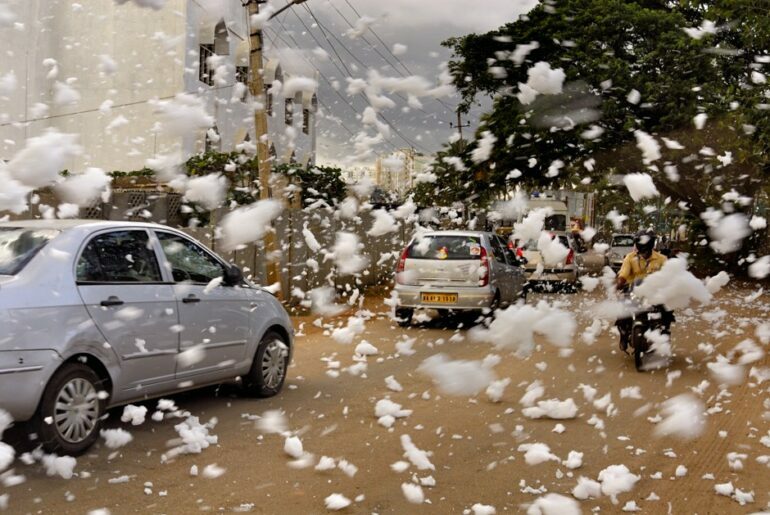 This froth leads to serious trouble to the residents every year due to which their fear is justified. The prime reason for the lake being frothing again since the few days in the past is the ongoing construction works being carried on both the ends of the lake’s waste water weir. On one side of the lake construction of road is being carried on by the Bruhat Bengaluru Mahanagar Palike (BBMP) leading the water being plugged. On the other side, the Bangalore Development Authority (BDA) is still carrying the repairing work of the last year’s rupture. The question is how much is actually being done and are the residents of the Lake satisfied with it. Innumerable complaints have been filed by the locals with the civic body and the BDA department whoa re the custodian of the lake. Complaints have even being filed for the basic hygiene and cleanliness of the Lake as the Lake is the breeding ground of insects and mosquitos leading to vector borne diseases like chikungunya, dengue and malaria. The residents have been themselves investing money for the cleanliness of the area by spraying insecticides but fail to succeed cause of the sewage entering the lake. What was left is the April rains going to fulfil increasing the chances of diseases being spread more in the area.